As of Monday, September 21, this roster for the SCW shows Monday Night Misery and Thursday Night Wreckage will be in full effect. With the course of action with many individuals released or quitting from their contracts, a new "SCW Developmental" has been put into effect. This serves the purpose of superstars who have yet to, refuse, or simply just don't roleplay, and also to fill dark matches or holes for both shows; This can also mean squash matches for individuals who simply don't care to put any effort into the federation, and at times, squash matches can even equal to a subtraction of fans to winners. Also, developmental WILL NOT be allowed to challenge for championships, until brought up to the main show. This section will be rotated weekly depending on the lack of individuals who haven't roleplayed in a while, and if you happen to find yourself in SCW Developmental, and you don't LIKE being there, simply put in a role play! 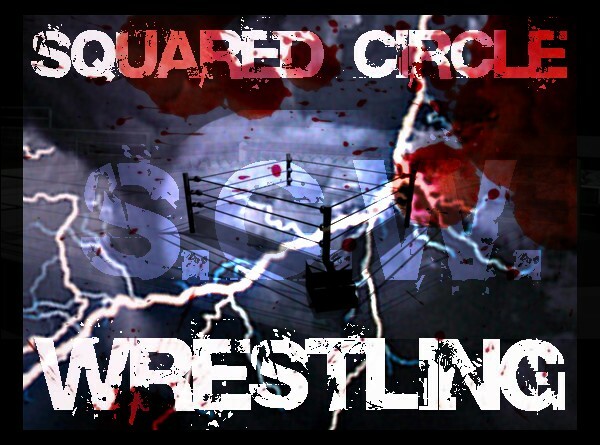 Furthermore, SCW Developmental is going to be used for newly acquired talent to start them off in dark or squash matches until they begin to role play. Then, depending on roster demand, and roleplaying skills and talent, these developmental superstars will find a home. Furthermore, members whose contracts expire within a week are greatly recommended to remind management through PM that their contract expires during this final week, and if they wish to stay on board, or if they wish to leave. However, if there is no notice, by the superstars next show, they will be no longer used until notice is given. This keeps management up to date with storylines and to keep continuity or just to alter the idea altogether. As of 09/28/2009, the new season begins for SCW. During this season, deadlines for story lines (if roleplaying) will be ABSOLUTELY due TWG Server time same day of the show @ 6:00AM (with GM discretion, approval, and exceptions). Also, include the date of the show that the rp is intended for; that way, there will be ample time to make corrections, alterations, and to have questions by the management answered. This is to make the roleplays move more efficiently and smoothly, and to make absolutely sure roleplays are included in the shows without error. Lastly, please make sure that you designate yourself to whatever roster you belong to on the forum. Many of you have done so already, so kudos to you. But to those who haven't, please do so. Quick question, will there be any post draft trades. I thought I was going to be on Wreckage. There will be no post draft trades. The changes to the championship requirements and the draft itself was specifically collaborated in the interest of fairness to both brands, and to the different levels of the superstars. However, there are talks about introducing a new opportunity to SCW and Wreckage to solve this problem. Stay tuned! Did a quick count and such, SCW has 2 more people than Wreckage. Ace Pantera and Bunkhouse Joker are unaccounted for. And lastly, can we get a clearer picture of heels, faces and tweeners? By my count on Wreckage we have 7 faces Skye, Laguna, Crash, Blinky Stu, Killswitch, Returned V_I, SG1. Heels 2 Conkster and Vercingetorix. Unaccounted for 9 others who don't have anything in the Gimmicks area. Ah, gotcha. Thanks XYM, i'm still learning stuff here. Actually, when you think about it, they should be even. Even thought Wreckage is the minor show, it is not the equivalent of ECW more then it is of Smackdown. This is just my thought. Even so, I'm pretty sure that Raw has (or usually has) more wrestlers than Smackdown. On that subject, we are currently working on getting more individuals on the roster. If you (or anyone else) wants to get involved with SCW, let Darren know. With the recent departures from SCW, I don't have enough people to use for matches. I only have 9 matches right now, and not enough people in Misery for a 10th. and that's it. So that drops Misery down to 15 people. And you need at least 20 per roster if you want 10 matches. So, please, if this issue can be resolved before Monday, resolve it. If I have to, then I can probably take 2 people from you or whatever can make each roster equal. Ill work on this tonight, and make sure everything is resolved. What Im possibly planning on quite possibly making a "Developmental" roster for non active rpers for filler that both rosters can use. I'll send you a PM and fix things when Im finished, J. Well, I checked out your char and you weren't in a fed. Also, your name didn't appear when I was setting the matches. yeah, my contract ran out and I needed to sign a new contract. Global could be the big one for Monday Night Misery, and you could have the MNM Championship. Just like Wreckage has a Wreckage Championship. i have 2 quick questions... 1 is am i in a fued because if im roleplaying i would want to know who i am directing my message to... and 2 is do u guys have me as a hell or face? As of right now, you make your character who you want it to be; whether it be face or heel. We are looking for more faces than anything, as we are pretty swamped with heels, but if you role play more comfortably as a heel, then by all means, work as a heel. As for being in a feud, no, you are currently not in a feud. Therefore, you can pick any member on the federation (mind you that aren't in a feud), and feud with them. May I suggest Brandon Hedley, Makihara, or even Ace Pantera (Junior Champion) or Hiruma Yoichi? It is up to you, and make sure that you discuss any plans with the other member.